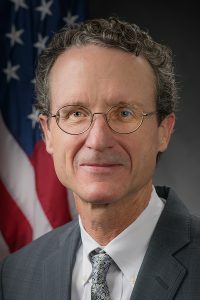 William Wehrum – Head of the EPA’s clean air office and lawyer and lobbyist for the coal industry. Mr. Wehrum has been able to push his deregulatory agenda without running into ethics troubles because of a quirk in federal ethics rules. The rules limit the activities of officials who join the government from industry — but they are less restrictive for lawyers than for officials who had worked as registered lobbyists. This image (or other media) is a work of an Environmental Protection Agency employee, taken or made as part of that person’s official duties. As works of the U.S. federal government, all EPA images are in the public domain.